Spring is the season of growth, so it’s time to give some thought to your garden and most importantly, your lawn, by beginning preparation for the year ahead to give it the best chance for maximum enjoyment and ultimate greenness. Our Spring Treatment comprises of a high quality lawn feed that provides early season nutrients to improve the lawn after winter, stimulate growth and enhance the lawn’s colour. The weather may be improving but we’re still likely to have wet and cold spells which can give the weeds and moss an upper hand if left. Our experts are always on the lookout for these issues and ready to treat any problem areas on your lawn. We know summer is the time that you want to be outside making the most of your garden, so a healthy, stronger and greener lawn is always our mission, which is why our Early Summer Treatment is so important. This treatment is applied twice in the summer to ensure your lawn has all the nutrients it needs to stay healthy throughout the summer months. Sunshine and an adequate amount of rain during the beginning of summer provides great conditions for all plant growth, so it is important during this stage to continue to provide nourishment that your lawn can use to defend against possible drought and scorching during the hotter months. We will also carry out targeted maintenance and lookout for signs of any possible problem areas. 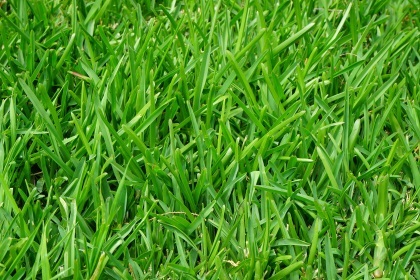 During the summer your lawn uses its energy to grow rapidly and to fight against the stresses of possible drought and disease, and so essential nutrients will have been depleted, which is why it is important to apply a second Late Summer Treatment to nourish, restore, and strengthen the grass. Therefore our Late Summer Treatment contains controlled release granules that will help to maintain colour and growth in the lawn. Humidity during the summer months can provide ideal conditions for the development and spread of disease so it is important for us to spot problem areas and treat them as quickly as possible. Autumn is all about preparing your lawn for the cold months ahead when grass growth slows but weeds and disease may prevail. Our Autumn Treatment focuses on strengthening the grass and enriching the soil to improve overall health and targets problem areas whilst still maintaining that lush green colour we have grown to love. Therefore our Autumn Treatment does not encourage growth but strengthens the plant for the rigours of winter and encourages stronger root development. 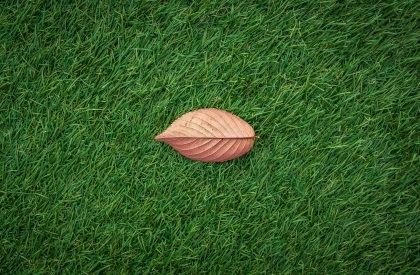 Our autumn fertiliser is particularly effective after Annual Essential Treatments such as Lawn Scarification and Lawn Aeration as it is will help to restore lawn thickness and strength. Winter is the time to protect your lawn against the stresses of extreme temperatures and unpredictable weather conditions with focus on strength, defense, and prevention. Despite the lack of growth it still needs nourishment and help in order to prevent fungal diseases and to keep moss at bay. With this in mind our Winter Treatment of mechanically removing cores of earth from the lawn to allow oxygen, nutrients and water to penetrate into the root zone, leading to a healthy and dense lawn. Our Winter Treatment also provides the essential micronutrients that are used for chlorophyll production in all plants which will help to green-up your lawn during the darker months, as well as assist the process of photosynthesis.